You've had your Max Ax for several years and you need a replacement for the used and abused axe and handle. Info about the complete Max Ax kit: The Max Ax Multi Purpose 6 in 1 off-roaders tool. As well as an axe, it comes with a shovel, rake, hoe, pick, broad pick, and mattock. I think that makes it a 7 in 1 tool. Precision engineered and manufactured to industry and military standards of strength and reliability. 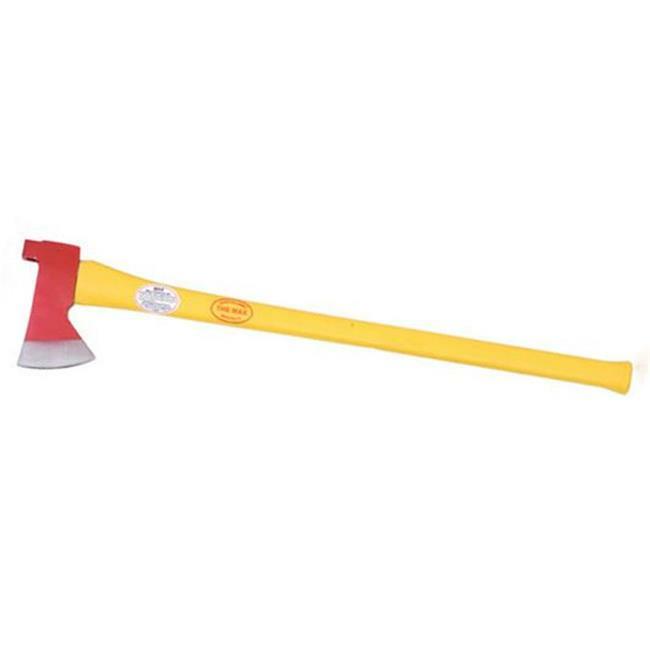 The head of the Max Ax is a small, sharp axe head made of tempered steel. Together with the polyglass handle, this is a lightweight, very portable tool (12.5 lbs). It is much lighter than your standard garage axe, but feels solid and substantial enough to get the job done. On the back edge of the head is a small bracket. This is used to connect any of the several accessories included with the Max Ax. All these accessories are stored in a very sturdy cordura nylon bag. The bag has a separate pocket for each accessory, closes with cloth hook and eye, and has a comfortable handle. The attachments connect securely to the head of the Max Ax with cotter-type pins or an adjustable shim (all included). A protective leather cover is included for the axe head to protect the head (and your head too). When using any accessory, just slip on the cover and buckle it. It is easy to store and easy to use. This tool will come in handy many, many times. It should be a basic part of every 4x4 tool set, right along with your Hi-Lift.